Chanel Fall collection for 2018 is one of the most successful collections from the French brand. It counts on marked lines that highlight the most outstanding feminine features. It combines the last tendencies with the most classical details. 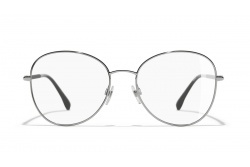 Chanel counts on rimless frames with mirrored lenses, at the same time that it counts on classic designs with neutral colors. Acetate Frames: They are models that have a great personality. As an example we find sunglasses such as CH4238 or CH5397 and inside the eyeglasses side CH3378 ir CH3379. Metallic frames: Rimless and with mirrored lenses, they highlight as the most trend and modern models. CH4237 and CH4239 are some examples of their novelties in sunglasses. On the other side, it is possible to find sunglasses, such as CH2181S or CH2182S. Metal-Acetate frames: This combination is irresistible. 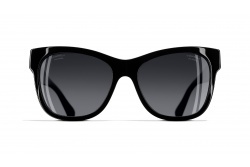 Sunglasses such as CH5398 or CH5401 are the best options. But the eyeglasses CH3380 or CH3381 also stand out inside the brand. This fall the Italian brand Chanel brings us big glasses with a great variety of shapes. They also offer innovations as the combination of acetate frames with mirrored lenses in different colours. Among these models we can see Chanel 5358, 5359 and 5380. Once again, metallic glasses with mirrored lenses are present. Furthermore, this time they added bright details both in frames and temples. Among others we can find models as 4227Q, 4228Q and 4230Q.